When you planned your beach vacation in Jaco, you probably were not thinking about sightseeing and cultural tours as part of your itinerary. The best part about Jaco is that even though it is a beach resort on the Pacific Coast, it is also just a hop, skip, and a jump away from nearly every important sightseeing destination in Costa Rica. To the North you have 2 of the most iconic destinations in Costa Rica, the Monteverde Cloud Forest and the Arenal Volcano. 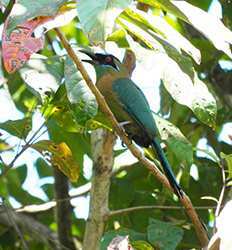 To the South you will find Manuel Antonio, one of the richest National Parks in Costa Rica teaming with wildlife. 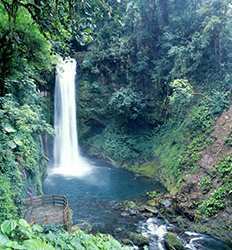 To the East you will find San Jose and the Central Valley which is the heart of Costa Rican Culture. With so many sightseeing and cultural tours departing from Jaco, why have you not booked something yet? We dare you set down your cocktails, take a break from surfing and escape the beaches of Jaco for a day and take an adventure with us to get to know more about the amazing Tico culture in Costa Rica. 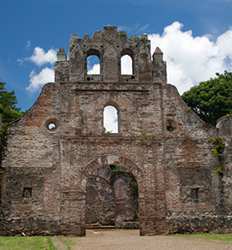 Below we have compiled our top picks for cultural and sightseeing tours departing Jaco available to you. Looking to escape the heat of the Jaco beaches and head for something completely different? 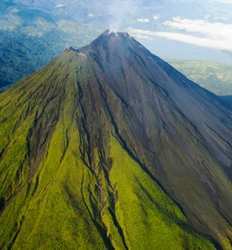 Then it´s time for a visit to the Arenal Volcano! A fun day of hiking, quaint villages, wonderful food, tropical gardens, and relaxing, rejuvenating hot springs awaits you. This tour is "Paradise Hot Springs", for more options see details. 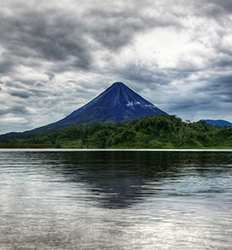 Arenal Volcano and Hot Springs One Day Tour deposit is $35.00 per Adult and $25.00 per Child. After relaxing, surfing, and partying in the groovy little beach town of Jaco, you might be ready to explore more of Costa Rica´s astounding natural beauty. 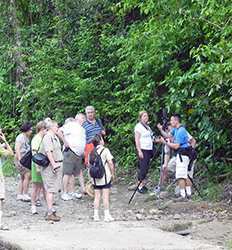 Lucky for you, The Real Deal Tours offers The Monteverde Cloud Forest Experience departing from Jaco! 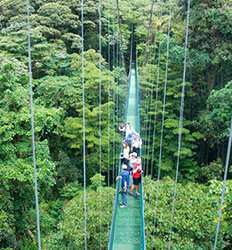 Monteverde Cloud Forest Experience deposit is $35.00 per Adult and $25.00 per Child. 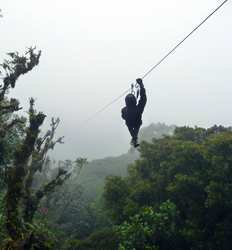 Monteverde Cloud Forest Experience + Canopy deposit is $45.00 per Adult and $35.00 per Child. 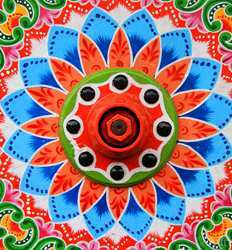 So now that you know how spectacular the beaches in Costa Rica are, why don't you venture out and get to know a bit more about the culture in the heart of the country, San Jose? 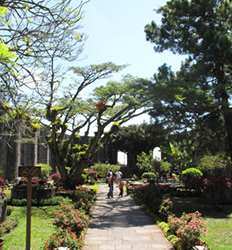 Sure Costa Rica is the world leader in sustainable tourism, but there is a more cosmopolitan side in San Jose that you should not miss out on during your Costa Rica vacation. 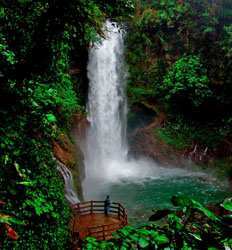 Despite of what you may know from your vacation in Jaco, Costa Rica is so much more than surf, sun and sand. Escape the beaches of Jaco for the day and head up into the Central Valley and the heart of Costa Rica on our Poas Volcano, Doka Coffee Plantation & La Paz Waterfall Gardens tour!